http://tldp.org/ : The most usable and master Linux Documentation portal. Nowhere under the sun there is any guide as detailed, as comprehensive and as pure as http://tldp.org . Here you will find howtos, guides, man pages and an online magazine. No hanky panky, only pure information. http://www.slackware.com/ : Simple is beautiful, that is slackware linux. People use mandriva, pclinuxos, ubuntu, fedora…. to use linux, but they use slackware to master linux. If pclinuxos is the big daddy of desktop linux, slackware is the great grand daddy of everything linux. There is a famous link http://www.slackbook.org/html/book.html , read it to know the ins and outs of linux. http://www.linux.org/ : The official linux online. It offers applications (source packages), information on distributions and downloads to famous linux, books and all. You will get real big linux news here. 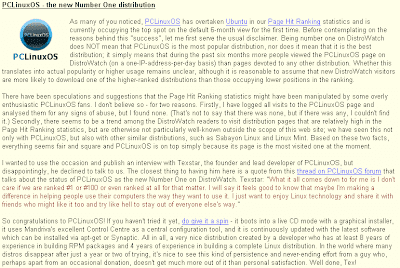 http://distrowatch.com/ : All about linux distributions, their rankings, updates, releases, news and all that. The best resource for linux hobbyists. http://www.firsteuropa.com : As you can not do without a car, you can not ignore car insurance. So, why not book your insurance at First Europa and save big money? First Europa is a leading insurance brokerage in Europe. It is growing to spread across the globe like wildfire. Next time you think of buying an insurance visit first europa to save big money on your insurance policy. http://www.alistapart.com/ : The veteran website on content, design and e-marketing. As they say - “from pixels to prose, coding to content.” It has them all. Besides, those designing, content and marketing, if you wish to hone your writing skills, just read a few article at ALA (alistapart). http://www.thebrandsmith.blogspot.com/: My friend Amit's personal Blog! Quite often he stuns me with his witty remarks and creative sparks. I am sure this blog is going to be the big daddy to compel designers to spell their words about brand, business... and designing. 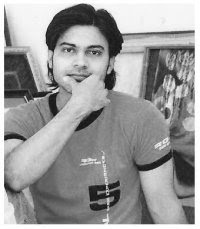 http://www.contentwriterindia.com/: Those who are looking for "content that really works" should visit this website by Ritesh Tanu, my one time fellow content writer. I know him for long for his die-hard attitude towards perfection. 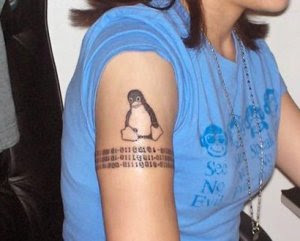 Also he happens to be an avid Linux supporter. Probably you know that Linux stands for choice, freedom and innovation. That's the reason there are so many types for application for a single task. Take for example you have, gedit, kate, xpad, nano, pico, bla... bla... for text editing. (Except for vi, it's more than just a text editor) I have used the most popular text editors of modern Linux including gedit and kate. But I am nostalgic about pico, the good old text editor, which is still available to download (though nano has replaced it in most places). I like pico for two basic reasons, first, it's small, simple and fast, and second, though a cli application, it's not that much cryptic like vi. Pico displays a menu bar of commonly-used commands at the bottom of the screen. Pico accepts commands only from your keyboard but not from your mouse. You can create or edit an existing text file using pico. Just issue "pico filename" (replace the filename with the name of the file you want to create or edit). Deleting text: To delete the character to the left of the cursor, press BACKSPACE, DELETE, or CTRL/h. To delete the character highlighted by the cursor, press CTRL/d. To delete the current line, press CTRL/k. Cut and paste functions: Place the cursor on the first text line you wish to cut and press CTRL/k to remove it. To cut and paste two or more consecutive text lines, press CTRL/k until all the text lines are removed. Now move the cursor to the location where you want to paste the text. Press CTRL/u. Pico pastes the text back into the file at the new cursor position. Cut and paste text blocks: Move the cursor over the first character of the text you want to remove. Press CTRL/^ to "set the mark." Use the arrow keys to highlight the text you wish to cut. Press CTRL/k to cut the text. (Be sure you got all of the text you wanted, including the last character.) Move the cursor to the place where you want to insert the text. Press CTRL/u to paste the text into the new position. Inserting an existing text file: Place Ctrl/r to insert the contents of an existing file at the cursor location. Pico prompts you for a filename. You can either type the filename and press Return, or press Ctrl/t to select from a list of available files. To exit the File Browser, press e.
Spell checking: To use the spell checker, press CTRL/t. When Pico discovers a word it does not recognize, it highlights the word and prompts you to enter a replacement. You can either type a replacement or press RETURN to keep the original word. Pico then continues to the next misspelled word. When Pico has checked your entire document, it returns the cursor to its original position. Recovering your work: Look in your working directory for a filename with the extension .save to recover the files if pico crashed. CTRL/a----Move to the beginning of the current line. CTRL/e----Move to the end of the current line. CTRL/k----Remove (cut) current line or selected text. CTRL/u----Paste (uncut) last cut text at the cursor position. CTRL/j----Format (justify) the current paragraph. CTRL/r----Insert (read in) a file into this file. CTRL/x---Exit Pico, saving the file. Most Linux (and PCLinuxOS) users have to read MS Word documents at sometime. They use Abiword or OOo Writer for that purpose, but feel annoyed at OpenOffice's sluggish behavior and Abiword's ill rendering of the document. I browsed through many Linux forums and got suggestions to - disable java loading or enable ooquickstart. I applied those fundas to my PCLinuxOS. There was some performance boost, but not satisfactory. Then, a wise man replied to my forum post - "Hey, why don't you try Antiword." And I got some command line freedom to view and process those *.doc files. It's smal, fast, easy and simple. You can easily get the rpm of Antiword. Just google "antiword rpm". Whatever version of Antiword I tried, it never asked for dependencies. But I would suggest you to install the latest stable version in order to get maximum compatible with MS Word. If you don't use PCLinuxOS, no matter, you can get source tgz package and install it. After installation I issued "man antiword". But it did not returned any readable help. While simply entering "antiword" in the console I got some usable help. To read a plain MS Word (one with minimum formatting, tables, forms etc.) just issue "antiword file.doc." You can read the document quite well. But for the documents with complex formatting, Antiword offers you numerous options to create a pure text file, pdf document, ps file or xml file, straight from a doc file. To convert a document into text file, issue "antiword -t file.doc > file.txt"
To convert a document into pdf file, issue "antiword -a letter file.doc > file.pdf"
To convert a document into pdf file, issue "antiword -p letter file.doc > file.ps"
Though conversions work fine, except for reproducing the images. You should use the options "-i" and "-i2" to reproduce the images in your desired output file. You can issue "-s" option to view the hidden comments of the doc file. At home my elder brother still uses an old i386 PC though he has a brand new Compaq. That i386 machine has a history - it was the first PC ever in my village and it was the first machine on which I laid my hands on. I learned those nitty DOS commands on it. It’s aged more than 15 years old now, but still functional. My 10 year old nephew, Sonu will be visiting me at Delhi on 13th of October. He is an avid games freak. Each time he called me on phone he reminded me to load some games - mainly those age-old DOS games that he plays on the i386 - paratrooper, aliens, antactic, blocks, mario, digger, ace speeder, dangerous road etc. I was in a difficult situation "how can I install those DOS games on my PCLinuxOS 2007 machine, a brand new VIA-Intel hybrid PC?". I browsed forums, googled for a while, punched the keywords "linux dos games", "how to play dos games in pclinuxos, linux" etc. And then got search results related to Wine and DOSemu. Installed those packaged from PCLinuxOS repository through synaptic. And I am there, I could play almost all those games. Now I can understand, DOS games are not that bad, except for their graphics. 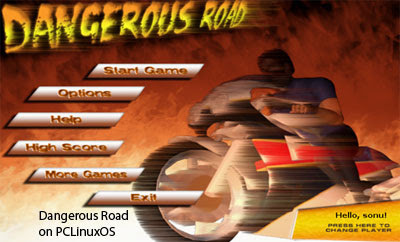 Even I could not pass 3 levels of Ace Speeder and Dangerous Road. Alas! If I could know about these software earlier! PCLinuxOS tries to serve everything on the face, i.e., desktop. 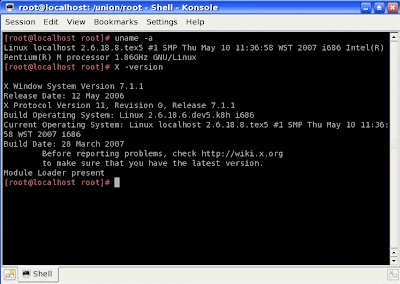 But as you grow using it, you will definitely like to use its terminal (Konsole, Xterm or Yakuake). Knowledge of the following CLI (Command Line Interface) commands will definitely enhance your experience of the terminal. [Tab][Tab] or [Esc][Esc] - prints a list of all available commands. x[Tab][Tab] or x[Esc][Esc] - prints a list of all available completions for a command, where the beginning is 'x'. [Alt][Ctrl][F1]-[F6] - switch to the virtual text console. [Alt][Ctrl][F7]-[F12] - switch to the GUI console, if there is one running. [Arrow Up] - scroll through the command history. [Shift][Page Up] - scroll terminal output up. [Shift][Page Down] - scroll terminal output down. [Ctrl][Alt][Bk Spc] - kill the current X server. Used when a normal exit is not possible. [Ctrl][Alt][Del] - shut down the system and reboot. [Ctrl]c - kill the current process. [Ctrl]d - logout from the current terminal. [Ctrl]s - stop transfer to current terminal. [Ctrl]z - send current process to the background. access  - determine whether a file can be accessed. Usage: access -MODE FILE MODE is one or more of rwx. writable (w), or executable (x). agetty    - enables login on terminals. Usage: bash [GNU long option] [option] ... bash [GNU long option] [option] script-file ... Type `bash -c "help set"' for more information about shell options. 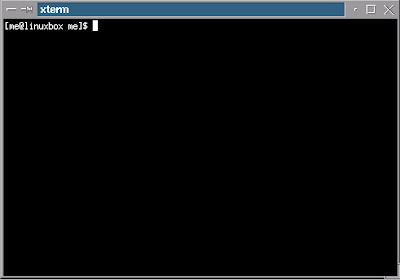 Type `bash -c help' for more information about shell builtin commands. cd        - change working directory. associated with subdirectories and files of a directory. chkconfig - Query or update system services/daemons for different runlevels. chmod     - set permissions (modes) of files or directories. A value of 4 is used for read permission. A value of 2 is used for write permission. A value of 1 is used for execute permission. chown     - changes ownership of a file. Can be used recursively. archiving part of a directory structure. mounted, and this program must be run as root. egrep     - search files for lines that match regular expressions. Runs faster than grep and fgrep. exit      - exit a shell. This is a shell builtin. find      - find files according to a large variety of search criteria. causes non-matched lines to be printed. ppp0, etc. The lo connection is loopback only. kill      - sends a signal to (especially to terminate) a job or process. This is a shell builtin in bash,tcsh and zsh. ls        - list directory contents. hardware devices attached to them. mkfs      - create a file system (format) on a device or partition. pwd       - print absolute path of working directory. This is a shell builtin. specified directory including all subdirectories. 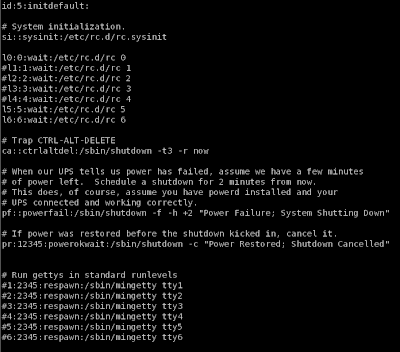 shutdown  - reboot or shut down system as root, after specified amount of time. With the -r option, reboot. With the -h option, halt the system. and undelivered mail must be dealt with separately. directory path of the named utility program. 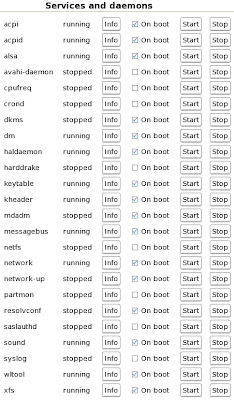 There are many commands available on your PCLinuxOS system. Not all commands have a man page. To see a complete explanation for using a command, in a terminal window enter man command_name, where command_name is the actual name of the command. For any command not containing a man page, command_name --help will usually show a summary of command options. I went through your pilot editorial (DistroWatch Weekly, Issue 220, 17 September 2007): "PCLinuxOS - the new Number One distribution," wherein distrowatch wrote, "Being number one on DistroWatch does NOT mean that PCLinuxOS is the most popular distribution, nor does it mean that it is the best distribution; it simply means... ..."
If any means I have to go by distrowatch's opinionthat PCLinuxOS's high HPD is not the only criterion of its being the desktop leader, then I must say at least Ubuntu has never been a leader. The reasons are plain. First, the Ubuntu hoopla is created by its rapid release cycle and more than dozens of its official and unofficial respins. People's choice for Ubuntu has been to some extent, is shaped by this condition. And second, the Canonical connection + Shipit program. You must agree, internet has not penetrated to most parts of the third world. They can't download even the LiveCDs, let alone the jumbo Linux DVDs. They just go by Ubuntu's Shipit program. By this I don't mean to say that Ubuntu is not a good distro, I have no personal grudge with Ubuntu, Shipit or Mark (the patron). I am happy that they help so many linux wannabe's. But... but... I have tried both Ubuntu Feisty and PCLinuxOS 2007 for quite a long time now. And I found PCLinuxOS is better in all respects. So, no more political play, if people said Ubuntu is a leader for all the undue adulation, they must, now, agree that PCLinuxOS is a good desktop, for all the good reasons. Why should one remaster the already FIT and FINE PCLinuxOS? To distribute personalized PCLinuxOS CDs remastering it with more applications to the persons who can't access the repositories or who can't do the necessary configuration, if required. There are several reasons you might want to do this such as setting up a complete gaming system on a disk, cd, or dvd, to take anywhere with you. Themes and applications added to or subtracted from the basic PCLinuxOS system just the way you want it. Linux home desktop users have a tendency (call it good or bad) to switch from one distro to the other. But they came back to the good one. I had used PCLinuxOS two years back, then switched Ubuntu, Mepis, Mandriva One, Blag, and here I am again working on PCLinuxOS. Of Course, now I am sticking to it. For those flirting users (like me), remastering helps a lot. I modified PCLinuxOS as per my choice and remastered it, so that next time I will just install it, no more configuration. It is damn simple, only the term "remaster" makes it sound little complicated. If you just want to remaster your system as a backup it is just entering mklivecd new.iso or remasterme from your terminal as superuser. 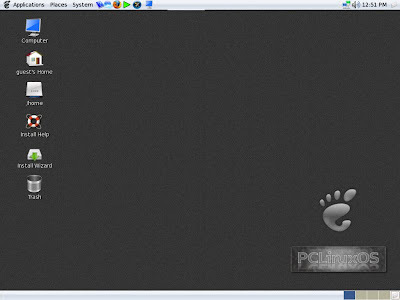 Only PCLinuxOS Preview 0.93a Big Daddy comes with remasterme by default. How can I get more help on PCLinuxOS remastering? For more help on remastering enter mklivecd --help. This post is not for those who don't even know the "L" of Linux and don’t bother to know about it. Also this post is not for those who are very much religious zealots against Windows. But it is for the judicious and normal Desktop/Laptop users who for some reasons find it difficult to have a good time with Linux and shifting back to Windows. I came from “Windows Old World” (Windows 9x and before). There are two major reasons behind my Windows => Linux shift. First, I was fed up with Windows Blue Screen of Death and bugs. And, second, I had to work on a RedHat thinclient. My first employer was a firm supporter of Linux and OSS. He even did over-expenditure for emulating some Windows based software that he can’t do without for the sake of making a computing environment that rides only on Linux. Last few years of my tryst with Linux (and recently PCLinuxOS 2007) taught me many lessons on Windows => Linux shift and vice versa. The apathy towards Linux is created from the preoccupations of Windows Operating Experience. Some of my friends of North-East, who had no access to the software vendors used community sponsored Mandrake, Redhat and Slackware, feel very much at home using any Linux. They don’t complain Linux for being “an OS for geeks”. The inborn Linux users (those who started computing with Linux) don’t have much pain as such. Because they were exposed to Linux World as you frustrated race were exposed to Windows world. The other most important reason why many find Linux somewhat unmanageable is the geek tag attached with it. Let me dig the topic. Dear frustrated Linux Users just look at the following contrasting points and make a judicious decision. Simple - You don’t have to mount your partitions in Windows, they are already mounted. Geek Approach - In some Linux flavors, you have to edit /etc/fstab file to change enable automounting. Conclusion - Mounting a partition is an extra job. Right. But it adds to your security and disk manageability. Simple - You don’t have to think which windows manager to use, which desktop environment to log in etc. It feels windows is a tightly integrated desktop. Geek Approach - You have a dozen of desktops environments, window managers, bla… bla…. Conclusion - Diversity in window managers and desktop environments is not a deliberate approach towards complexity. Yes, Linux is not as tightly integrated as Windows is. But it’s a way to make the best of computing in terms of aesthetic sense and the hardware resource. If you have a modern hi-power computer, use KDE, tweak it to beat even Vista Aero look-n-feel. If you love little eye candy, but don’t want to compromise on performance, use Gnome. If performance is the major objective and desktop the least, then use, blackbox, fluxbox, rox, xfce….. And if you are a true geek, use a Linux sans any X-window environment. The choice is your. Choose one and stick to it. Visit http://pclinuxos2007.blogspot.com/2007/09/why-does-average-joe-still-use-red-hat.html and http://pclinuxos2007.blogspot.com/2007/09/piece-of-linux-advocacy-through.html or more information. Simple - You have a mature set of productivity applications for windows. You don’t even have to read the “READ ME” or “INSTALL NOTES” before installation. They almost always work the way you want it to. No multiplicity in software related terms like: rpm, deb, pkg. tgz, autopackage, bin, sh, apt, synaptic, cnr…. No need to nail the brain in these jargons. Geek Approach - You have a still larger no. of software, repositories, package management tools, etc. Conclusion - This multiplicity in software installation terminology, diverse number of distributions, frequent updates, betas, RCs etc. lead to a chaotic situation. There is a way out, if you are not a Linux developer, choose only a Desktop Linux distribution, work on its default desktop environment, take pain to load with the required set of software and applications. Then just work on it. People often complain that Linux is not stable, because without having much knowledge of Linux, they start playing around and sometimes mess-up their system. Just work as you worked on your Windows without trying much geek tricks, I guarantee you will enjoy Linux as well. As for application maturity, it is improving very fast in Linux world. Visit http://pclinuxos2007.blogspot.com/2007/08/pclinuxos-performance-tweaking-for-home.html for more information. Simple - Windows does it all for you. But you have to make Linux to do many works for you. Geek Approach - Linux can do a lot more than Windows does. Conclusion- Imagine the power of a root user and the extent of his freedom. Had windows not been a closed-source OS and had it offered that much power and freedom, I bet windows would have been a more disastrous experience (compared to Linux). Windows has integrated only an X number of applications (giving a chance to the third party to sell their products to its users) to a neat desktop, where as a normal you can’t rush deeper into. Whereas in Linux even the default installation gives you more number of applications. You need not need to do installations every now and then. 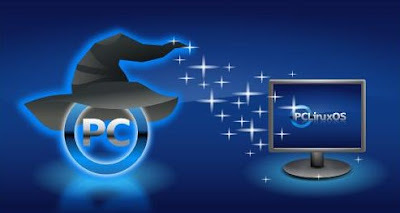 Besides, there is no trouble in renewal; if your pc is online it receives regular updates. Simple - Windows is GUI control over it. Geek Approach - Linux Command driven. Conclusion – Neither is Windows a Fully GUI controlled, nor is Linux Fully Command driven. The GUI control of Windows is only skin deep and the real control lies in regedit and gpedit, both are more difficult than the Linux command line. Also compare Microsoft Windows Control Panel with PCLinuxOS Control Center (just run pcc on your PCLOS), you will definitely find configuration in Linux is much easier and fast in comparison to Windows. Geek Approach - You just forget those malicious terms, you are secure in Linux, though for the security freaks, there are antivirus programs and firewalls in Linux world. Conclusion - In security world Linux beats Windows from all sides. I have never experienced any attack on my PC from the web or from LAN for last 4 years. Simple - There is no worry for devices drivers. Vendors supply drivers in the Windows pre-installed PCs. Geek approach - Search the web for drivers or configure your system as per the device tech-specs. Conclusion - Well, device problem is now a history in Linux World, you will have problem configuring devices if the Linux version you are using is older than your hardware, or if your hardware is so exotic that very few people know it. Linux is not difficult. But it is different from the one you are used to, i.e, Windows. The frustration is often arises from that different way of working. Had we that intuition and inquisitiveness that we had at the time of learning Windows, it would have been just a child’s play. Stay with it, never go out of your way for some geek tricks, till you know much about Linux internals. Learning is always a time intensive thing. Stay simple and faithful with Linux as you did with Windows. Use PCLinuxOS 2007, if you are desktop user, you won’t have any more frustration. Put your difficulties related to Linux before the community and before me. Abhishek Chib had asked me for some help regarding OpenOffice Writer usage. Many others also need the same help. So, I had plans to prepare a document comparing the features and usage of Microsoft Word vis-à-vis OpenOffice Writer to help the Windows converts into Linux or OSS. Luckily I came across this document http://documentation.openoffice.org/HOW_TO/word_processing/Word-to-OOo.html. Though this document was meant for OpenOffice 1.1.1, it works well with OpenOffice 2.0.2 that ships with PCLinuxOS 2007 and other leading Linux distributions. Usability wise OpenOffice Writer is not difficult in comparison to Microsoft Word. But as many have learnt computing through a Windows perspective, they generally face the problems in terminology and “where to find what” kind of annoyance. Little bit of intuition will help the users be familiar with OO Writer. Most functions and controls have the same or similar names in Microsoft Word and OpenOffice.org Writer, but a few are different. This table compares some common terms in the two programs. Most functions are found in similar places in both programs, but a few are slightly different, and the degree of control varies. This table summarizes where to find the setup choices. Most writing, editing, and reviewing techniques in OOoWriter are similar to those in Microsoft Word, but the details often vary. Jump quickly to other parts of a document Edit > Go to (or) Outline view Edit > Navigator (or F11), double-click on required heading, figure, table, etc. Ignore some text when checking spelling Select text; Tools > Language > Set Language > Do not check (or) Format > Style > Modify> Format > Language Select text; right-click > Character > Font > Language = [None] or the real language of the selected text, if that is foreign. Use wildcards (regular expressions) in find and replace Edit > Replace > More > select Use Wildcards checkbox Edit > Find&Replace; select Regular Expressions checkbox. Wildcards differ from those in MSWord. Insert AutoText Type shortcut and press F3 Type shortcut and press F3 (or) type Name of AutoText entry and press Enter. OOo distinguishes between the “name” and the “shortcut” of an AutoTextentry; Word does not. This section covers such things as margins, headers and footers, columns, and frames. OOoWriter controls basic page setup somewhat differently than Word does. setup. For example, if you specify headers and footers, they apply to the entire document, unless you change them in specific sections. Page setup is a property of the page style. You can define many page styles—for example, First Page, Left Page, Index Page, and Default. If you change the page layout for one page style, only that style will be affected. When you set up a page style, you can specify which page style applies to the next page, so when text flows from one page to the next, the correct page style will automatically apply to the following pages. For example, you could specify a First Page style to be followed by a Left Page style, to be followed by a Right Page style, to be followed by a Left Page style—a common setup in books. Set first page number to greater than 1 Insert > Page Numbers > Format In first paragraph on first page, Format > Paragraph > Text Flow > Breaks, select Enable and With Page Style, choose the page style, specify the page number. View and edit facing pages File > Print Preview; click Zoom button to enable editing File > Page Preview shows pages on wrong sides of screen, so you may want to insert a blank page before the first page while writing a draft. You cannot edit in page preview mode. A full discussion of the similarities and differences in the use of templates and styles would take too long for this summary document, but the following table should get you started. Find which template is associated with a document Tools > Templates and Add-ins File > Document Properties > General tab. Apply a different template to a document Tools > Templates and Add-ins > Attach, select template, Open Start a new document based on the different template; copy contents of old document into new document. Apply a style to text (Word 2000) Select from Style List or Style dialog (XP) Can also use task pane. Format > Styles (or press F11), double-click style in list; after one use, paragraph styles appear in Apply Style list on Formatting object bar. Change a style definition (Word 2000) Format > Style > Modify; (XP) can also select in task pane and click Modify Select style in Stylist, right-click, choose Modify; or Format > Styles > Catalog, select style, click Modify. Create a new style Format > Style > New Format > Styles > Catalog, click New. summary document, but the following table should get your started. Major differences exist in the use of cross-references. Insert a cross-reference from document A to an item in document B Use Includetext fields Keep a manual list of cross-reference names (case sensitive) when you set them in document B. When you insert the cross-reference in document A, you must type the name of the item (in document B) in the Name box on the Fields dialog instead of selecting the name from the Selection list. A full discussion of the similarities and differences in working with large or complex documents would take too long for this summary document, but the following table should get your started. Major differences exist in the use of master documents. The table does not attempt to summarize all these differences. Other how-to documents are being written to describe the use of master documents in detail. documents Use Includetext fields Keep a manual list of cross-reference names (case sensitive) when you set them in document A. To insert a cross-reference from document A to an item in document B, you must type the name of the item in the Name box instead of selecting it from the Selection list. Most graphics work should be done outside Word or Writer, with the graphic files embedded or linked to the Word or Writer file. However, you can do some simple graphics using the drawing tools in Word or Writer. This table covers the basics. equivalents in OpenOffice.org Writer. Functions without built-in keyboard shortcuts can be performed using toolbar icons, or you could assign your own key combinations. 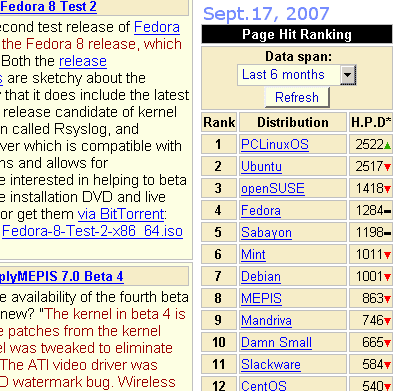 I don’t know what the statistics was for last three days, but today, on checking its USA mirror http://distrowatch.serve-you.net/ I found that PCLinuxOS 2007 is marching ahead of many desktops, it has got 2522 HPD and Ubuntu is the close second with 2517 (Please look at the screenshot above). I am sure PCLinuxOS will continue to lead, probably with more HPD for a long time. Well, what made our beloved Tux, PCLinuxOS the leader of Linux desktops? I regularly visit PCLinuxOS website. It talks plan, no hypes, no hoopla, no fanaticism, nothing… The Linux community has warmed up to its power, performance and people-oriented approach. It’s stable, usable and fast. Let’s wait for its Official Gnome Version. If anyone knows the PCLinuxOS Gnome Project Schedule, please mail me or post the schedule as a comment on the blog. I will be highly grateful. I had been looking for the official PCLinuxOS Gnome version since 2005. Thanks God, it’s now in the making. Unfortunately, it’s impossible to say when its slated date of the big showdown. KDE, the default desktop for PCLinuxOS is good, but I prefer the Gnome desktop for my home. Because, it is fast and simple. After the hitting the download link http://www.linuxgator.org/PCLinuxOS/iso/PCLOS-Gnome-2.20.2.iso I frowned a while, is it worth downloading? Yes, it was worth all the pain I took to download via my 128KB cable line. Let’s discuss how it is different from PCLinuxOS KDE versions. It featurs kernel 2.6.22.10, Gnome 2.20.2, Gnome office apps, Firefox 2.0.0.11, Frostwire, Bittorent, Xmms, Flash, JRE, Compiz and a tons of multimedia applications. For installation it takes little more than 2GB space. The installation is seamless and same as that of PCLinuxOS 2007 KDE. You can use the same repositories that you do with PCLinuxOS 2007 and install/update almost 7000 packages. This lighter version is suitable for remastering that will fit on a 700MB disk. Gusto! Linuxgator, you have done a good job! When I got first call from Monika I felt a bit annoyed - there is somebody who wants to learn OpenOffice Writer (the most used application from the canon of openoffice), and Lo... he is going to pay me for that. The reasons for my annoyance are multifold, first, I was stuck up in some urgent deliveries, second, I had to attend an official meeting and third "a person so serious to learn openoffice". With some haphazard thoughts, I switched off my mobile (that's a part of my etiquette before attending any meeting, you will agree mobile phones have become a personal as well as public menace) after firing an SMS. Meeting went fairly well, though we never really come up with anything worthwhile, Monika's SMS arrested my attention, especially the domain name component in the mail ID - fosteringlinux.com. And I got on to put something - "These people are up to something good." Ok. Let's talk plain. Learning OpenOffice is as easy as learning any proprietary office application suite, like that ubiquitous Microsoft Office. All you need is to be familiar with its interface, menubars, tools and context menus. Though internally it is much different from MS Office, the surface elements are much similar, except for the context menu (the menu that is invoked by right-clicking). They work differently but put the same result at the end. All is well that end's well! As a novice user one can't find much difference, but a power-use can. The macros, the templates, and the preferences make all those difference. OpenOffice has its counterparts from Microsoft Office. There you get Word, here you get Writer; there... Excel, here Calc; there... PowerPoint, here Impress; there... FrontPage, here Web; and there... Access, here Base. One can notice OpenOffice taking much time to startup. The startup time can be optimized by enabling openoffice quickstart and disabling java runtime (from the options menu) and splash screen. However, after first startup, consequent startups take very less time. I am well versed with OpenOffice. I have been using it for last 5 years. But recently I am in love with Gnome Office (Abiword and Gnumeric), as it is simple, light and fast, it gives me exactly what I want. Well, let's discuss to propagate our Tux race. What is Linux and what's all that hoopla about it? Linux is an open source variant of the UNIX operating system. The present standing of Linux is the result of millions of lines of codes and volumes of documents. What's so good about using Linux? You can shape up Linux the way you want it as the source is available for free, but you can't do the same with Microsoft or OSX. You get a wagon of software and applications, all for free. You will have piece of mind, you won't have virus, trojans and malware. You have a community of like-minded people to share your views, creativity, code and documents. You live on the edge of technology. Tech-savvy hobbyists swear with Linux. Because lakhs of developers contribute their codes for rapid development cycle. The above list of points state that Linux has an edge over any proprietary operating system. Is not it unbelievable that it only enjoys a user base less than 10%? So what are the roadblocks? Aggressive marketing campaign of proprietary operating systems: Microsoft can spends fortunes on its promotional campaigns. But Open Source OS, Linux can publicize itself with words of mouth only (it's also powerful). Geek like approach of Linux contributors: You will agree Microsoft is the most user-friendly OS, though not the best. As a profit-oriented company, MS considers its customers (Windows users) as king, pop up the disk and you are almost there. Whereas, Linux is badly influenced by geek like approach. You have to do that extra configuration for better performance. Of course, that approach is defied by PCLinuxOS, Ubuntu, Mepis and several other flavours. Linux Desktop has made usability its prime goal. Communication Gap: Many newbies to Linux still don't know which distro to choose from. Let me site a real life example. Today I morning I had been to a Photostat stall to get my PAN card copied. There I found some old books of RedHat 9 lying to be copied. Later I came to know that till date many think RedHat 9 is the latest and best distro. But the fact is Linux is moving very fast. Compare RH9 with Fedora 7, you will know the difference, the truth. This lack of information leads to frustration in many users. They found RH9 far behind Windows XP or Vista. Besides, RH9 does not has device drivers for the current hardware. The reason for this downward trend is the suggestion of old Linux users who still suggest RH9 and lend RH books and CDs. Chaotic development: Freedom is good but excess of freedom leads to anarchy. Makes sense? Hundreds of distro, dependency problems, lack of proprietary drivers, multiple display managers, multiple x environment (Kde, gnome, xfce, icewm, fluxbox, blackbox....the list continues) and the immature application development leads to a real chaos. That's what gives newbies a sense of inconsistency, instability and alienation. We know these are all surface elements, and the kernel is the same across many distributions. But how many new users know that? Let's propagate our Tux race (Linux OS and the community) through unified effort and a KISS (Keep It Simple Stupid) approach. In this regards, I find PCLinuxOS 2007, a true desktop, best in usability, stability, performance and beauty. I must say it has a personality also. Let's follow its path of development. It just works and is radically simple! Linux users generally get stuck up while trying to copy VCDs. They get an “IO Error”, no matter what they try. Further, if one copies that video files from windows partition or just tries to play that infamous *.dat video file, Linux does not recognize that file. Of course, if one opens that file with mplayer or vlc (or any other video player) then it does play. 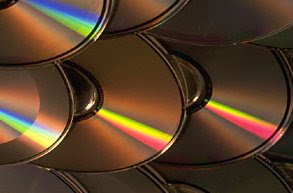 Nobody wants to let those good old VCDs go just for the reason that they can’t be copied. Thanks God, there are a few fixes to it, all regarding ripping the files off. Truth: You can’t copy the files off a VCD, but you can only rip them off to your hard drive. VCDXRIP (a part of VCDImager) and Mencoder (that comes with Mplayer ) are two versatile programs that rip VCDs. Both these programs ship with PCLinuxOS 2007. If you use other distro, please download and install these into your OS. It will rip the vcd files to your hard drive in *.mpg format, that can be readily playable in any media player. Note: Read the vcdxrip manual to know the insides of the command and its various options. Mencoder is a versatile toolset that helps you do a lot of tasks, ripping a vcd is one of them. You will get an avi video file, that’s compressed and readily playable. But… but… vcdxrip and mencoder can copy (rip) only error-free VCDs (unlike windows that copies the *.dat files regardless of the errors). If these programs find any error during ripping, they stop the process right there. So, use only clean and well authored VCDs. mount -t cdfs -o ro /dev/cdrom /mnt/video (other users can change the parameter as per their device and mount point). Using this option one can easily read vcds + other multisession or mode2 disks quite easily, which don't mount normally. Thanks Anurag and Granular Linux Community for packaging it for us. This cdfs package works on pclinuxos 2007, granular as well as mandriva linux. Through this post Sudhansu Sekhar, a non-tech home desktop user, wants to convey his Linux Love to the world. He just wants things get done. He has no interest in knowing how it all happens - what's kernel, why Linux is more secure and most importantly, what's that OS thing anyway. He could have created his own blog, but then, why put an extra hour creating a blog and toil maintaining it? I never thought, I will ever use PCLinuxOS. Simple, I never really cared! The last 5+ years of my PC experience is restricted to web browsing, editing and documentation, image manipulation and at times audio/video playback. To put it plainly, I am not familiar with PC usage in corporate environment. I am only upto the home desktop. The repercussions were very tragic, sometimes I got pointers to unwanted webpages, sometimes abrupt system shutdown, low system responsiveness, etc. With PCLOS I enjoy good times with my computer. It's as usable (even more) as Windows. Take my word, you will feel at home. You can get your regular chores done efficiently. Use it to believe it. Caution – These tweaks hold good only for home desktop systems. 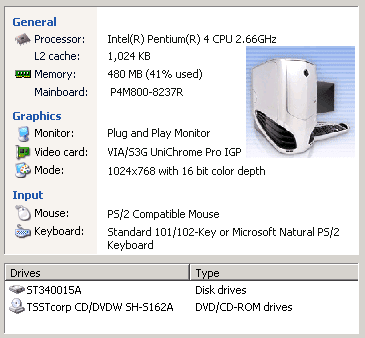 I am using PCLinuxOS in a system with Intel(R) Pentium(R) CPU 2.66GHz Processor having 1024KB L2 Cache. It has 512MB RAM with 480 free memory. It has a VIA mainboard - P4M00-8237R. My video card is VIA/S3G UniChrome Pro IGP using 32MB memory for display. - Desktop, Panel and Widgets. 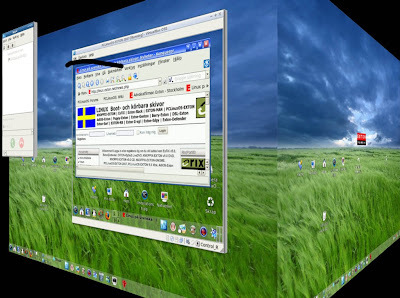 The default installation of PCLinuxOS gathers 4 virtual desktops, a clipper tool and most used productivity apps and system apps like synaptic, firefox, show desktop, etc., on the desktop panel. First, I reduced virtual desktops to just one, and later removed that along with clipper and all the icons. Now the denuded panel has only main menu icon, volume icon and date-time viewer. I have also reduced the panel size. Look at the picture above. It looks sane and uncluttered. My desktop does not have any background image and the screensaver has been removed right after installation of the OS. 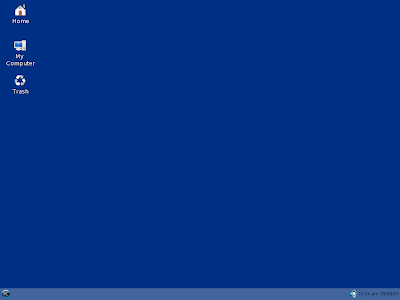 The desktop bears default color theme and icons - no extra icons, backgrounds, screensavers, GUI effects, whatsoever. If you do like those bells & whistles for some time, you will never like them for long, I am sure. Linux boot process is guided by inittab. You can change it by editing /etc/inittab. I use a home desktop, so I edited the inittab by commenting out unnecessary runlevels such as 1,2,3 and 4. Never comment out or remove 0 and 6. They are necessary for system start up and shutdown. So my system starts directly from rc.5, i.e., runlevel 5, the multiuser graphical desktop with network. I have also removed all the gettys, they are not for me. Look at the above image. And comment out the items as I have done. Services are both processor and memory-hogging things. You can give a boost the performance by disabling unnecessary services. I have disabled avahi-daemon, cpufreq, crond, harddrake, netfs, partmon, saslauthd and syslog. If you are playing safe with your system you no more need syslog to output what went wrong. Besides, if you can do regular maintenance manually, you no more need crond. Regular chores (word processing, image editing, web browsing and multimedia playback) on home desktop generally do need any job scheduling. But, if you are not sure of what you are doing don't play with crond and syslog. Look at the above image and uncheck the unnecessary services. Alternatively, you can remove services through CLI. Issue chkconfig --list to see a list of running processes. Then switch off the processes that you don't need. Issue chkconfig --level sevice offon. Here is what get by issueing ps -ax. I have now only barebone number of services active on my desktop. While I was using Windows XP three years back, I had only 11 services running on my system. I was happy with that much service, because I never wanted my CPU fan hiss. With PCLinuxOS I am able to speed up my system further shedding memory hogger still further, in all ways possible. Linux has an age-old rule of swap memory. 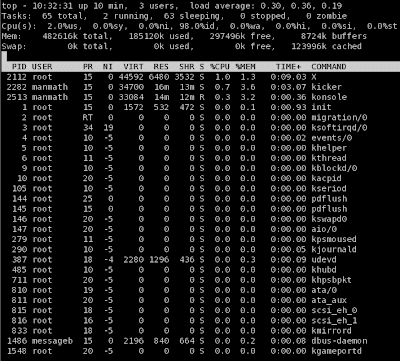 By default most of the distros ask for a swap space which is roughly double your physical memory (RAM). I have been using PCLinuxOS 2007 since its beta release. Quite often I check how much memory and swap my system uses. After minimizing processes, bells & whistles, I never see my memory usage exceed 400 MB. The swap is almost unused. So, I removed the swap partition. Radically, my system has become more responsive. I would suggest if your system has more 512MB of RAM you don't need to have a swap partition (only for home desktop users). 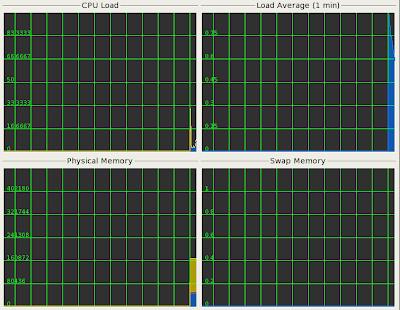 Here is the memory/process graph of my system. Open ksysguard to see yours. Though I am fan of PCLinuxOS, I respect Slackware , the most, for its puritan approach and KISS (Keep It Simple, Stupid!) funda. I always keep disk of Zenwalk (a famous Slackware flavor) with me. Zenwalk is light, fast and... disciplines itself with “one application per task” principle. I applied that Zenwalk principle to PCLinuxOS. And the result - mind blowing! If you are happy with Konsole, remove Xterm, Yakuake. If your text editing is OK with nano or pico or kate or vi, remove the rest. Likewise you can shed the multiple apps like browsers, editors, media players, system tools, office applications, p2p clients. What's more, google for a while on some CLI tools and remove their graphical counterparts. Result you will have mean machine with necessary fast & fury. After applying above customization (you may call it tweak) I have experienced the following improvements. Boot time: It takes only 30 sec to boot my system. Memory usage: Right after boot up it uses only 120 MB of memory. I have 360MB free memory to work with. System responsiveness: I click and I am there. Responsiveness almost doubled. Shutdown: My system halts like a TV. After clicking the turnoff button, my systems halts in just 6 sec. Bottomline: I have minimalistic approach while it comes to PC usage. For that, I have tried to tweak any OS to its extreme. But most Linux flavours were messed up in my tweak process. Only PCLinuxOS stood by me. I swear by its stability, speed and usability. Need I say more! Thanks to PCLinuxOS, Texstar and the Ripper gang!